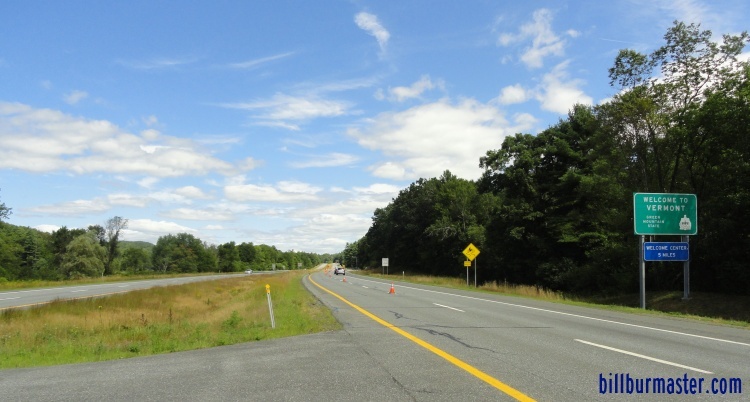 Interstate 91 is a north-south highway in Eastern Vermont. It runs from the Massachusetts/Vermont State Line, west of South Vernon, to the United States of America/Canada Boarder, near Derby Line. Much of I-91 follows along the Connecticut River. 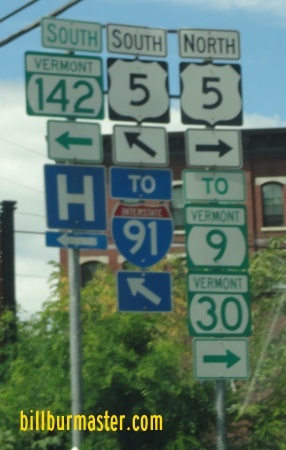 While in Vermont, I-91 is not multi-plexed. 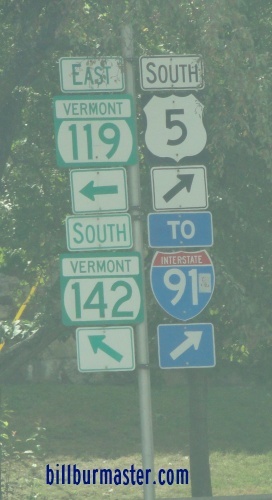 In Vermont, Interstate 91 crosses the following highways. 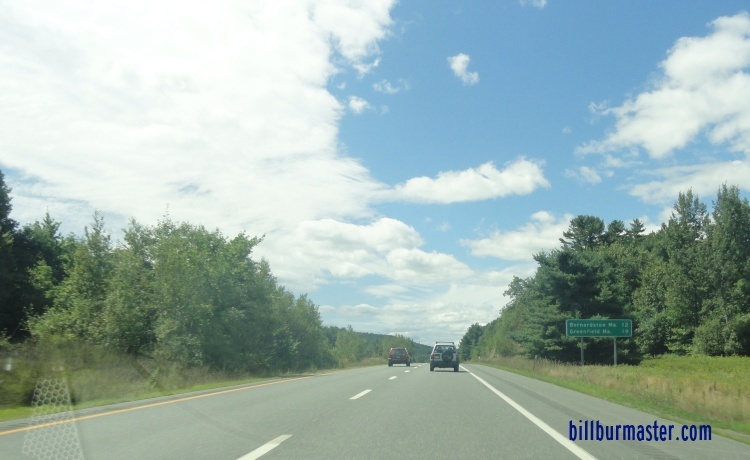 Interstate 89, near White River Junction. 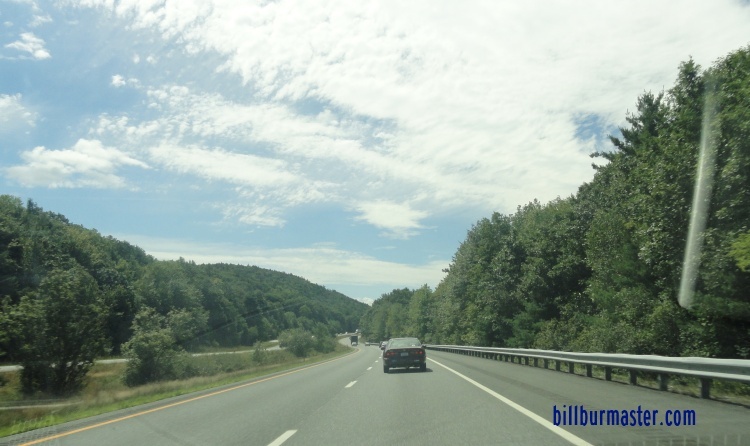 Interstate 93, near St. Johnsbury. 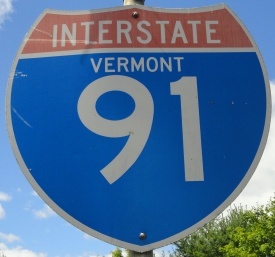 There are no branches of I-91 in Vermont. A guide marker in St. Johnsbury. A BGS on EB VT St Rt 9. A guide marker on SB U.S. Rt. 5. 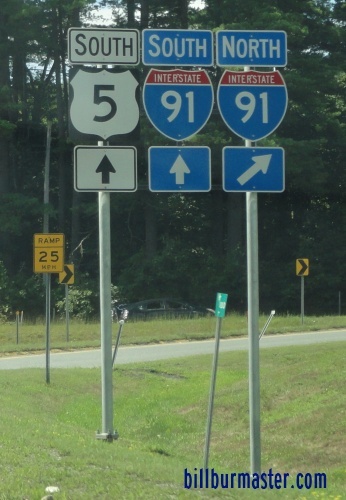 A set of guide markers on WB VT St Rt 119. A junction marker on SB U.S. Rt. 5, at Brattleboro. A set of guide markers on SB U.S. Rt. 5. 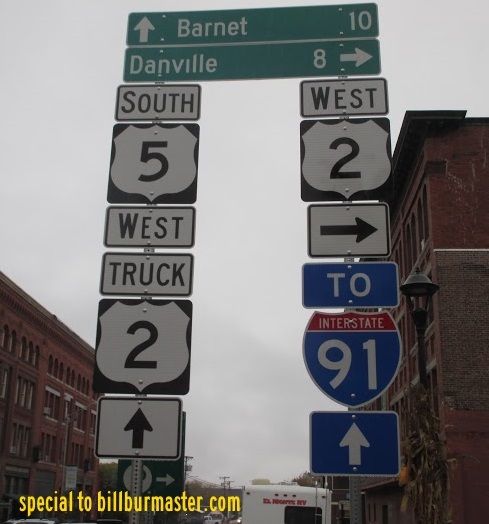 A SB guide marker at Brattleboro. SB I-91 south of U.S. Rt. 5. SB I-91 near Central Park. 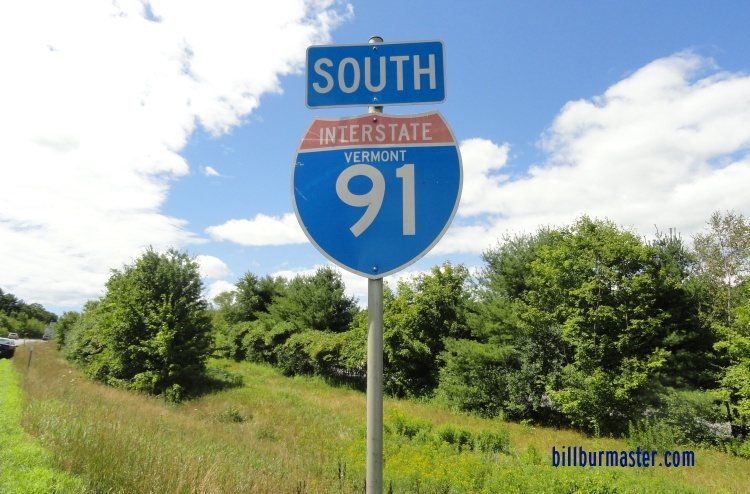 NB I-91 at the Massachusetts/Vermont State Line.